Las Vegas is, at its heart, a gambling town, though nowadays it is also a world-class venue for food and entertainment. However, because gambling is so easy and so common, it can create problems for families, especially if you or your spouse have addictive personality traits. Gambling addiction or any other addiction can ultimately lead to divorce court and it can cause emotional and financial damage not just to the addict, but to the rest of the family as well. A parent with an addiction runs the risk of being declared unfit. While the mere existence of an addiction does not automatically make you or your spouse an unfit parent, it does mean that the Court will be concerned that you are more likely to fall prey to putting your addiction before your children. While Nevada’s relevant statute does not specifically discuss addiction, it does talk about neglect and abandonment of the child, as well as “only token efforts by the parent” to engage with and support the child. People who are addicted to something are notoriously poor at focusing on anything else. It is sadly all too common for addicts to neglect their responsibilities, including their families, and neglect is one of the factors that a Nevada court will consider in determining unfitness if it gets to that point. While Nevada jurisprudence generally holds that the overarching concern in cases where unfitness may be alleged is the best interest of the child, there are multiple factors which might go into making that determination, and addiction and neglect are two characteristics which lean toward a finding of unfitness. Given that every gambler suffers at least some losses, an addict will often convince themselves that the bad streak is temporary. To get them through, they may use the marital savings; they may max out credit cards or even borrow from retirement instruments like a 401(k). It is not uncommon for the non-addict spouse to only find out when bills begin to pile up or services are cancelled or shut off. The crux of the matter for many spouses is that depending on the specific nature of their divorce, they may be held liable for half of their spouse’s gambling debts, even though they may have had nothing whatsoever to do with their accrual. Since Nevada is a community property state, this means that unless the circumstances are very unusual, the marital debts are divided equally along with the assets. 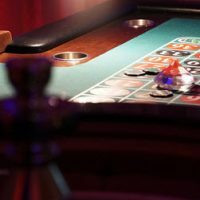 There are occasions where Nevada courts have held gambling debts to be dissipation of marital funds, which would readjust the amount of debts and assets granted to each person, but unless dissipation is found, the non-gambling spouse is generally on the hook as well as the gambling spouse. Las Vegas is a town where gambling problems are common, but you do not have to allow one to ruin your marriage. If you need help figuring out how best to proceed with divorce or separation, the dedicated Las Vegas divorce lawyers at the Kainen Law Group will do our best to assist you. Contact our offices today to set up an initial consultation.